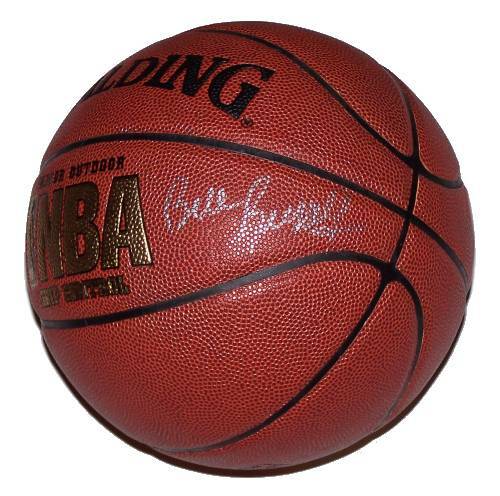 A Spalding NBA basketball signed by Bill Russell, formerly of the Boston Celtics. Comes with a Certificate of Authenticity. 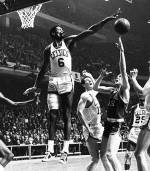 Bill Russell is a retired American professional basketball player who played center for the Boston Celtics of the NBA. A five-time winner of the NBA Most Valuable Player Award and a twelve-time All-Star, Russell was the centerpiece of the Celtics dynasty that won eleven NBA Championships during Russell's thirteen-year career. Along with Henri Richard of the National Hockey League's Montreal Canadiens, Russell holds the record for the most championships won by an athlete in a North American sports league. Before his professional career, Russell led the University of San Francisco to two consecutive NCAA championships (1955, 1956). He also won a gold medal at the 1956 Summer Olympics as captain of the U.S. national basketball team. ~ Wikipedia.